Eye care is very important during the rainy season .Some of the eye problems that we face during the rainy season are Conjunctivitis, Eye Stye, Dry Eyes, and Corneal Ulcer, etc. 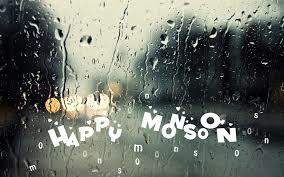 Herein we shall discuss of the these eye problems and how to have a safe monsoon. Conjunctivitis (Pink Eye) is an inflammation of the conjunctiva (Conjunctiva is the transparent membrane that covers the outer surface of your eye along with the inside of your eyelids). It is caused by Viruses and bacteria or some other irritating substances. It is an infectious disease and spread from one person to another. The infections spread during rain due to increased moisture in the air. The common symptom of conjunctivitis are Redness of eye, swelling, yellow sticky discharge from eyes, itching in the eyes, associated with pain. It is an easily treatable eye problem. Just a visit to the nearest eye specialist is all thats needed. Donot self medicate and always take a professional eye surgeons advice. A stye is a bacterial infection involving one or more of the small glands near the base of your eyelashes. Eye Stye occurs as a lump on the eyelid. During monsoon Eye Stye are very common due to the bacterial infections. The glands get clogged due to which the bacterias multiply in that small space not havong any place to go. Due to rains; the dust particles and other substances in the eye can get caught in these glands which make it a very good nidus for the bacterias. The basic symptoms of Stye are pus discharge, redness over eye lids, unbearable pain and bump in the eye. Tears are a complex mixture of fatty oils, water proteins and electrolytes. The surface of the eyes are normally nourished, protected and lubricated by tears. 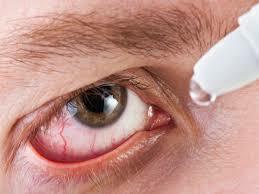 In dry eyes your eyes are not able to provide adequate moisture either because of poor quality or insufficient tears. They are caused by exposure of dust and pollutants again more common with the monsoons. Hence make sure to wear a protective eye gear if you are travelling. An eye specialist will prescribe some eye drops that will help lubricate your eyes and keep them safe. A corneal ulcer is a wound on the surface of the cornea which is the transparent structure overlying the front surface of your eye. 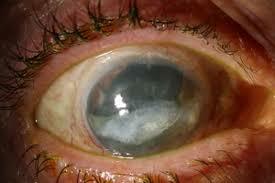 Corneal ulcer is most commonly caused by infection with bacteria, viruses, fungi, or a parasite. The moisture content in the air especially during monsoons creates a favourable condition for the viruses to grow and multiply. 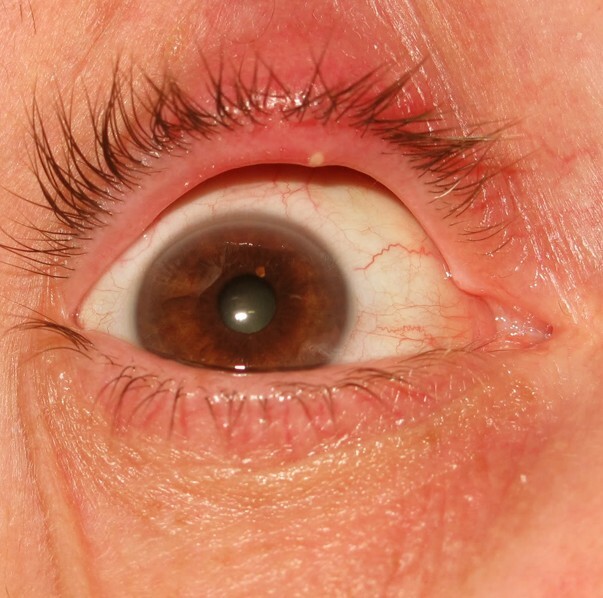 Corneal Ulcer occurs as a painful, red eye, with mild to severe eye discharge and reduced vision. These need to be treated in time to avoid complications. Depending on the extent of the ulcer; the treatment line would either be limited to just medicines and eye drops or may require an eye operation. ·Don’t touch your eyes with dirty hands. ·Don’t share your handkerchief or towel with anyone. ·Do not rub your eyes very often. ·Don’t share your eye medicines or contact lenses with anyone. ·Avoid eye make-up, when you have eye infection. ·Use eye protection glasses when exposed to wind, dust. ·Use eye protective masks, while swimming. ·Avoid using swimming pool during rainy season, as the pool water increases the viral attack on your eyes.